MILAN — Indonesian online-to-offline specialty coffee startup Fore Coffee announced that it has raised US$8.5 million in funding from East Ventures, SMDV, Pavilion Capital, Agaeti Venture Capital, and Insignia Venture Partners. The fresh investment will be used to accelerate innovation and improve its online-to-offline customer experience. Moreover, the startup will also invest in new product development. It is the first coffee startup that integrates data, mobile application, and technology to offer a full online-to-offline experience for its customers in Indonesia. The mobile app allows customers to order a coffee and pick it up at a particular outlet or have it delivered it to their location. Several of Fore Coffee outlets are designed for delivery services only so customers can get their drinks faster. The company aims to boost the demand for Arabica beans as specialty coffee. “We decided to use only Arabica beans, which translate to higher income for local farmers” explained Fore Coffee CEO Robin Boe. The beans are roasted locally to keep their freshness. They’re also professionally brewed by trained baristas and delivered on demand. 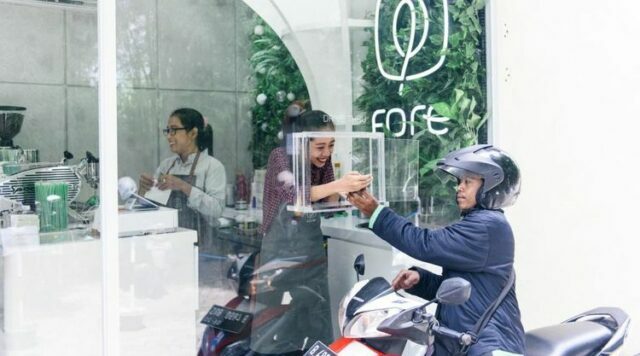 Within five months of operations, Fore Coffee has grown its footprint to 16 physical outlets across Jakarta, delivering over 100,000 cups of coffee monthly.